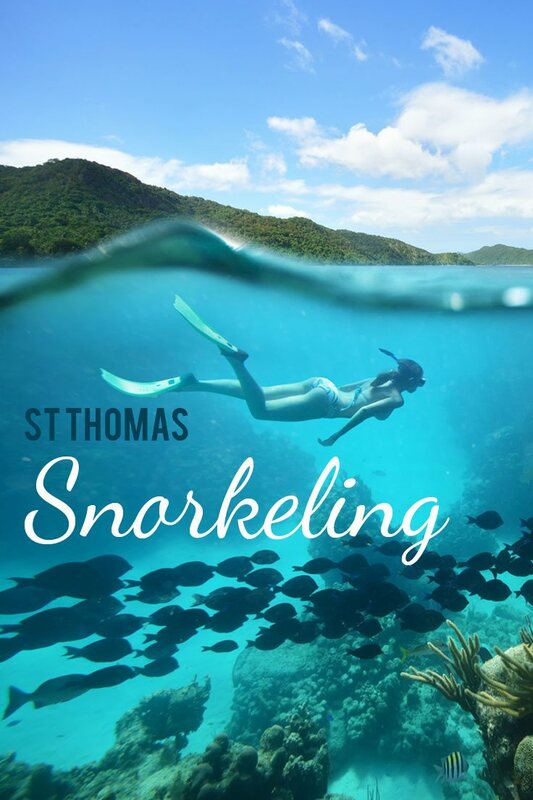 Thanks to the calm, crystal-blue waters of the Caribbean Sea, snorkeling in St. Thomas offers some of world’s most spectacular underwater adventures, plus opportunities for exciting up-close encounters with sea life. 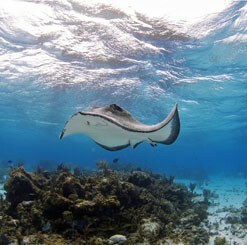 You can arrange a snorkeling tour with gear, instruction, and charter service provided by professional guides. 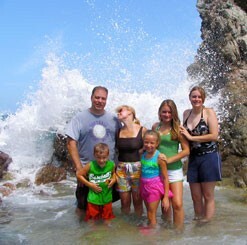 Or you bring your own gear or rent equipment at one of the local beaches. 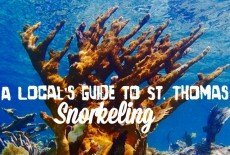 Our guide to the best snorkeling in St. Thomas includes handpicked boat charters, beach excursions, and ecotours offering amazing opportunities to dip beneath the water and encounter sea turtles, rays, colorful fish, beautiful coral reefs, and more. 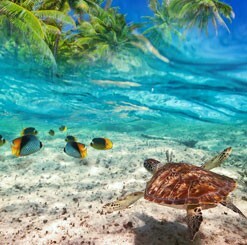 We recommend the top snorkeling trips based on our first-hand experience and careful review, so you can be sure you will enjoy a great experience and receive outstanding service. 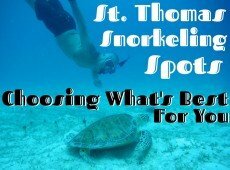 Scroll down to view our list of the best St. Thomas snorkeling tours, including secure online booking through our website and the lowest prices available anywhere! Explore beautifully pristine Honeymoon Beach in St. John, one of the best beaches in the USVI, on one of the best shore excursions! 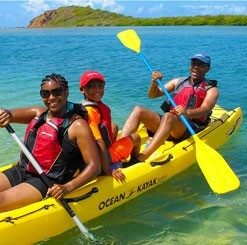 Your all-day pass provides unlimited use of kayaks, stand-up paddleboards, float mats, beach chairs, and access to the best snorkeling in St John with included gear! 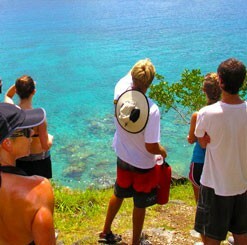 Discover flora, fauna, culture, history and some of the best snorkeling in St John on this dynamic ecotour! Hike through the St John National Park, explore vibrant reef and abundant marine life while snorkeling in Honeymoon Beach, and encounter historic ruins and botanical gardens at Caneel Bay. 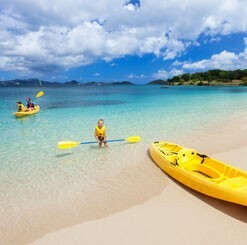 Explore wonders above and below the sea at Caneel Bay in St John on a kayaking, hiking, and snorkeling adventure! Experience some of the best snorkeling spots with thriving reefs in St John National Park waters, kayak one of the most beautiful bays in the USVI, and hike the trail at Turtle Point. 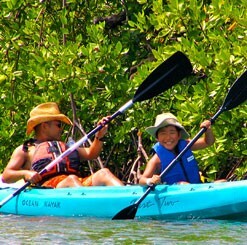 Kayak across crystal Caneel Bay in St John to one of the most beautiful cays in the USVI for some incredible snorkeling! 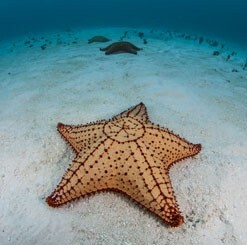 Henley Cay features vibrant untouched reefs, plentiful schools of fish, and fantastic views of the BVI from its trails for an awesome St John kayaking and snorkeling trip!